Valley Golf Centre is a full service golf facility complete with golf course, driving range, and licensed snack bar and patio. Our 9 hole golf course features four par 4s and five par 3s of varying length where you can use almost every club in the bag, even the big stick. 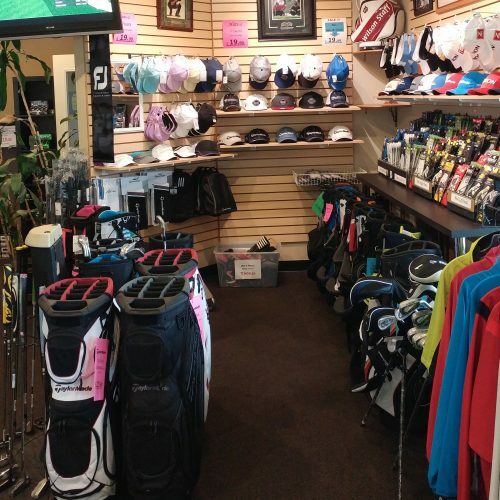 The course is enjoyed by families, beginners, and seasoned players alike. We are a popular choice for tournaments. Our driving range features 13 fully covered, heated and lit stalls as well as 27 outdoor stalls. We also have a full practice putting green. Want a lesson? Our teaching professionals offer full lesson packages. 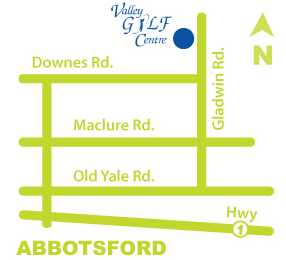 Valley Golf Centre is a family-friendly facility. Our junior program is one of most popular in the area. Our current golf promotions for range cards, lessons, golf course specials and proshop deals! Check back often as we have a variety of great sales and surprise promotions each month! The perfect course for a fun, fast and friendly round! The driving range has indoor & outdoor stalls and heaters, too. 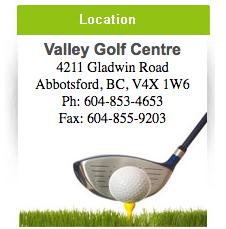 Bring your friends and family and enjoy your time at Valley Golf Centre!